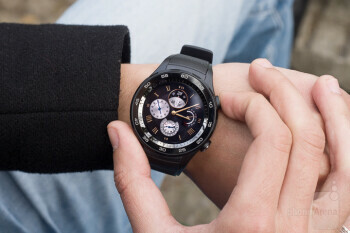 Smartwatches are a tough task to get right for most manufacturers. 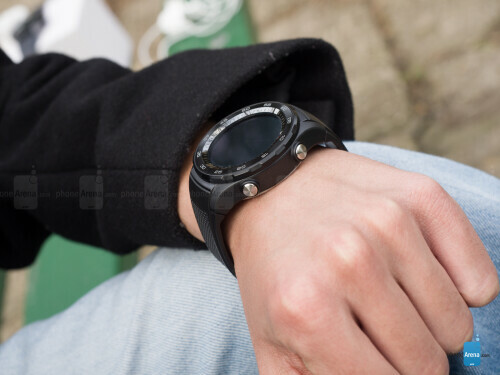 Unlike smartphones, style is just as important as functionality and with everyone having completely different preferences in that regard, every device in the smartwatch market caters to a different audience. 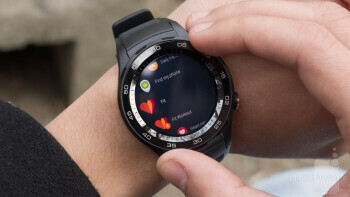 And with smartwatches not growing as fast as many companies expected, manufacturers are racing to make that elusive device that will shape the market the same way the iPhone shaped the handset one. Is the Huawei Watch 2 that device? Definitely not, but it's still a smartwatch worth taking a look at. A generic sporty design that looks almost cautious. I am a man that loves watches, and I appreciate a well-designed watch body. But a good design requires some degree of flair. Even the tiniest detail can make a conventional watch body look like a completely different, bold design. This is not the case here. Huawei decided to play it safe and not experiment with the design at all. 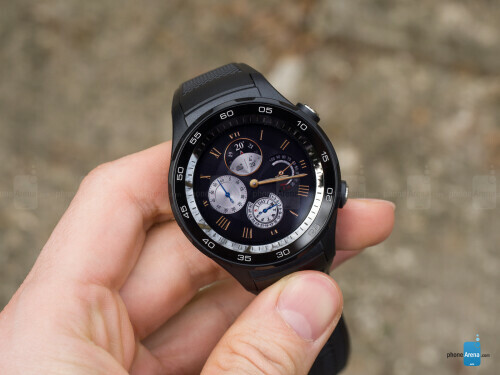 If you swap the AMOLED panel with a generic LCD one, the Huawei Watch 2 will look just like any budget sport watch out there – dull and uninspiring. There's nothing to it that would draw attention, even with the colorful versions. 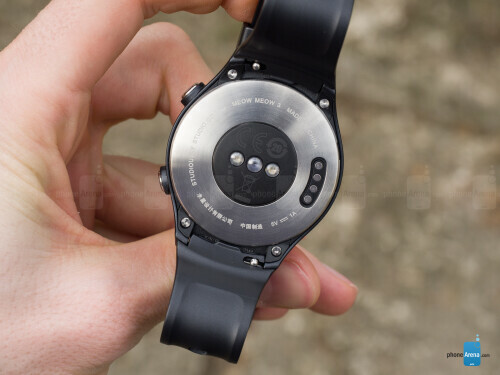 However, it's important to note that we're reviewing the sportier Huawei Watch 2, and not its Classic counterpart, which features a sleeker stainless steel body. The good news is that the watch is IP68-certified, which means that you shouldn't worry about wind and rain ruining your brand new smartwatch. However, we don't recommend wearing it in the shower or swimming with it. When it comes to ergonomics, it's hard for smartwatches to please everyone, since we all have different preferences. For me, the Huawei Watch 2 works perfectly. It almost feels like a regular watch, despite its bulkier size, and it didn't take long for me to get used to having it on my wrist. Judging by the look of it, though, it would probably work better for someone with bigger wrists. A display that simply works is all we could've asked for. The Huawei Watch 2 comes with a circular 1.2-inch AMOLED display, with a resolution of 390 x 390 pixels. This makes for a pixel density of 326 ppi. And while the display is a bit smaller than that of the older Huawei Watch, I wouldn't consider this to be a step backwards. 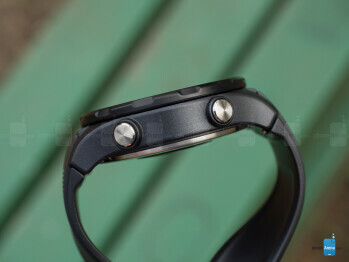 The smaller display works well with the device's body to make a comfortable watch to wear. When it comes to the experience with the display, it's more than satisfactory. It works at extreme viewing angles and in bright sunlight without any issues, and it's more than crisp. The only concern I have with the display is that it picks up smudges quite easily, so it requires constant wiping. Android Wear 2.0 is a welcome upgrade for Google's smartwatch OS. I think we can all agree that Google's wearable OS lagged behind Tizen and watchOS significantly. But then came the 2.0 update, and this is when Android Wear became a more up-to-date experience. Therefore, the Huawei Watch 2 is a worthy contender when it comes to interface and functionality. The experience with the device is mostly intuitive and easy to comprehend. Using Android Wear 2.0 means you'll have to do a lot of scrolling, though, and Huawei did not prepare the Watch 2 for that. 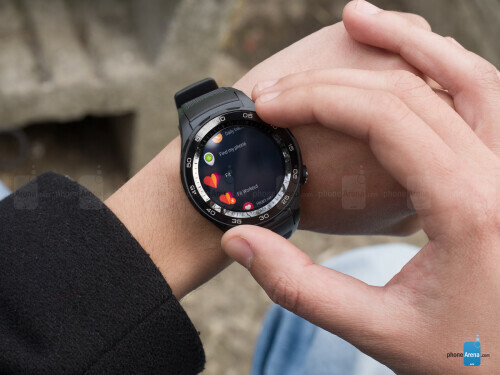 All the interaction with the watch happens via touchscreen, while it would have benefited greatly from a rotating crown or bezel, in order to keep the display clean for more than five seconds of menu navigation. The interface and features are pretty streamlined. For example, the watch will monitor your heart rate at regular intervals, no matter if you ask it to or not. This allows you to access historical data on your heart beat for the past six hours. Mine concluded that my heart rate reached 150 bpm the moment I set foot in the office. Another cool aspect of Android Wear 2.0 is the vast collection of customizable watch faces. Most of them feature at least two complications, which you can set to display the weather, your daily steps, your next alarm, calendar agenda and what not. What surprised me the first time I used the Huawei Watch 2 was that the device was doing its best to keep me from my bad habit of not taking enough breaks. If you remain inactive for an hour, Google Fit will prompt you to get up from the chair and do some basic stretches. These prompts can, of course, be ignored or disabled altogether. In terms of the long-awaited Google Assistant, it's doing okay on the smartwatch, but it's greatly hindered by the somewhat dodgy connection of the Android Wear _phone_ app with the watch itself. The app would lose connection at random times and reconnecting the two devices is the only way to fix it. If you use the Huawei Watch 2 as a standalone wearable, or via Wi-Fi, said problematic connection won't cause any issues for Google's AI, but it's still an inconvenience if you rely on your phone's data for Internet connection. The Huawei Watch 2 also comes with NFC, GPS and all the bells and whistles, when it comes to sensors. State-of-the-art hardware makes for a state-of-the-art experience. When we lift the hood, we see that the Huawei Watch 2 flaunts some pretty good hardware. The device comes with a Qualcomm Snapdragon 2100 chipset, which is the only processor by Qualcomm built specifically for wearables. 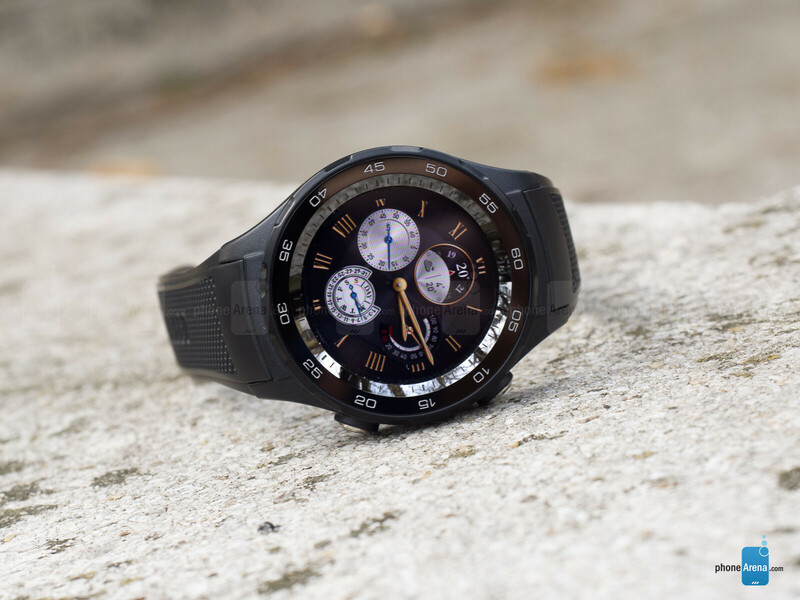 It features a 32-bit quad-core 1.1 GHz CPU, which is more than enough power for a smartwatch. 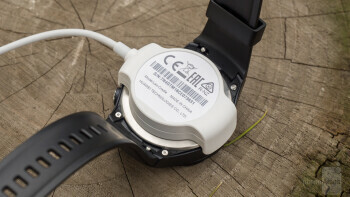 It also comes with its own LTE modem, so your smartwatch can operate independently from your phone. 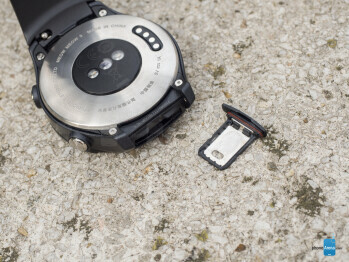 The watch also packs 4 GB of storage, but only 2.3 GB will be available to users for storing music or software. Still, that's pretty much the standard for smartwatches right now and we see no reason why you'd need more. Additionally, the Huawei Watch 2 features 768 MB of RAM, which is plenty for any tasks you might require from the device. All that powerful hardware makes for a pretty smooth user experience with no noticeable stutter or lag. Leaving your _phone_ at home is not a problem in the slightest. 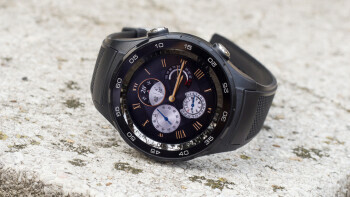 The Huawei Watch 2 is so well connected, that it could be a mafia boss. The device comes with standalone LTE modem and a SIM slot, Wi-Fi and Bluetooth capabilities, NFC and all other connectivity modules we know and love from our smartphones. That being said, the Classic version lacks LTE capabilities for reasons we're not familiar with. 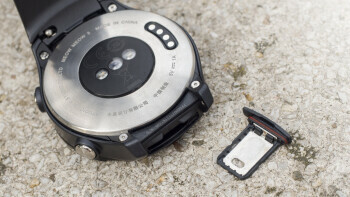 However, it's highly unlikely for the watch to replace your smartphone just yet. For example, the call quality with the Huawei Watch 2 is somewhat poor, compared to that of any phone out there. Not to mention that Android Wear 2.0 is still severely limited in terms of IM apps. As a Viber power-user, I am seriously bummed out that I don't have a full app on the watch for that, and I can't start conversations via the Messenger app. Adequate battery life that will easily last you through the entire day. Huawei promises a battery life that would last for two days of “typical usage”. After some fiddling around with the settings, I sort of managed to find said typical usage scenario. I used the always-on display through the day, and turned it off when going to bed. I also made sure to turn off the Tilt to Wake function, since it woke up the watch constantly while I was driving. With these settings applied, the watch consumed about 60% of its power in approximately 24 hours. What must be kept in mind is that I played around a lot with it through the day and I made sure to test the Google Maps navigation on my commute from work. The watch is also quite quick to charge, coming up to 100% in about an hour. That's not a bad charging time for a smartwatch. A solid device, with a solid price tag. 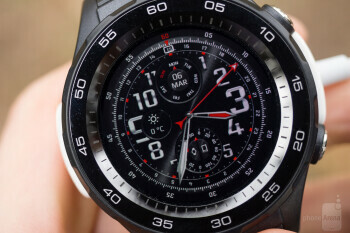 The Huawei Watch 2 is said to have a starting price of about $350, same as that of the Samsung Gear S3. But, quite honestly, its build feels a bit cheaper than the Gear S3. Still, the Huawei Watch 2 is a very solid wearable. 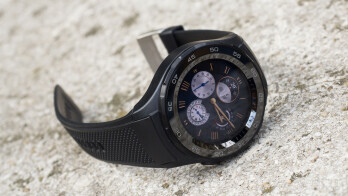 It does come with mobile payment support, GPS and all the latest Google software for smartwatches. What would make the Huawei Watch 2 far more competitive, though, is a rotating bezel or crown to navigate through the menus. This would help in keeping the display relatively smudge-free, as opposed to its current constantly-needing-a-wipe condition.